The Security Commonwealth is an umbrella organisation of independent membership bodies across the security industry. It provides a forum to consult and co-operate in the common interest and in the promotion of professionalism, good practice and information sharing to enhance UK security. The Security Commonwealth aims to be the all-inclusive industry advocate on security issues in the UK, to create lasting networks and alliances and to promote and lead the security industry with a single voice. Membership includes most of the major security membership organisations in the UK, such as ASIS UK, the Security Institute, the International Professional Security Association, the Association of Security Consultants, the Institute of Private Investigators, and the Cross-sector Security and Safety Communications. Other members include the National Security Inspectorate, the British Security Industry Association, the Royal United Services Institute, Crime Prevention Associations, Project Griffin, National Cyber Security Alliance and London First Resilience Network. Sector based membership organisations include Sister Banks, the Pharmaceutical Industry Security Forum (PISF), the National Association for Healthcare Security, the British Institute of Facilities Management and many other organisations covering all security disciplines including counter terrorism, physical security, personnel security and cyber security. Promote the wide-ranging skills and capabilities of the security industry to government, business, and other stakeholders through focused business engagement supported by a robust media and communication strategy, building confidence, reassurance and trust. Achieve effective ‘Collaboration, Cooperation and Communication’ between its member bodies, following the principle that working together is a force stronger than the sum of its parts: ‘Stronger Together’. Share good practices and to promote continuous improvement through the Security Commonwealth professional network. Support industry development and engagement, creating a UK wide communication network for security professionals. Champion professional recognition and continuing development around the Security Commonwealth. Provide a strategic platform for effective sharing of learning, knowledge and Security experience. The Security Commonwealth seeks to collaborate, communicate and influence. 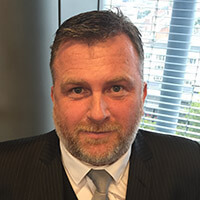 Guy is a leading security and risk expert with a long-standing background in commitment to organisations supporting the private and corporate sector, notably in chairing the Pharmaceutical Industry Security Forum and the Security Institute Validation Board. At present Guy also chairs the Food & Drink Security Association and the Cross-sector Safety & Security Communications for the Eastern Region. 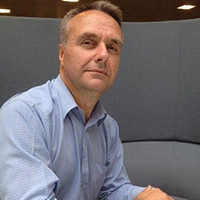 Joe Connell is a Registered Independent Security Consultant and Management of Risk practitioner operating in the commercial arena since 2006 with both private and public sector clients following an exemplary 32 year police career culminating at a senior and specialist level in the Specialist Operations department of New Scotland Yard. 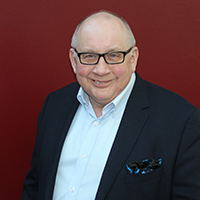 He is the owner of Praemunitus Ltd and is the current Chairman of the Association of Security Consultants. 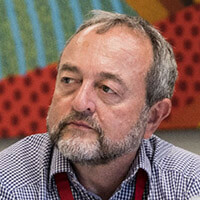 David Clark CPP PCI PSP is a senior corporate security professional and is the Head of Security of The Francis Crick Institute, a major biomedical research centre in Central London. David started his career in the military before moving into the commercial world, holding several senior appointments. 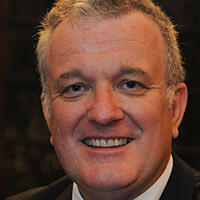 He is the current Chairman of the Uk Chapter of ASIS International. 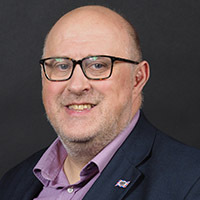 Mike Hurst CPP entered the sector 30 years ago initially working for a risk consultancy and has subsequently spent 26 years recruiting across the security profession. His company, HJA Consult, also offers strategic consultancy, events management and promotes Enterprise Security Risk Management. He is a member of several security membership associations and holds / has held senior volunteer leadership roles. The members of The Security Commonwealth constituent organisations cover all aspects of the security space. If you would like a speaker or a comment on a particular issue, please contact Dave Cooke on info@securitycommonwealth.org or use our Contact page to get in touch with us.